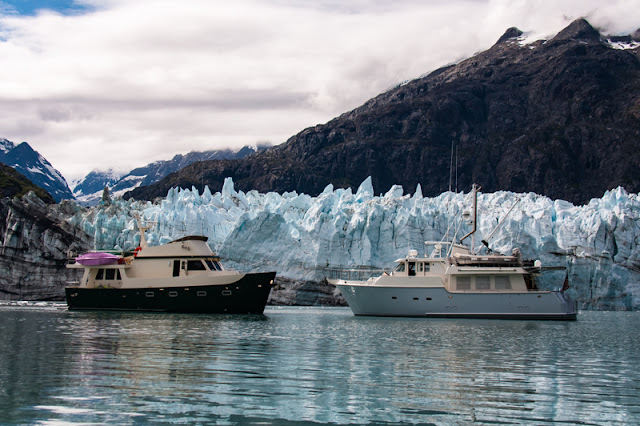 Glacier Bay has been the highlight of an incredible trip. 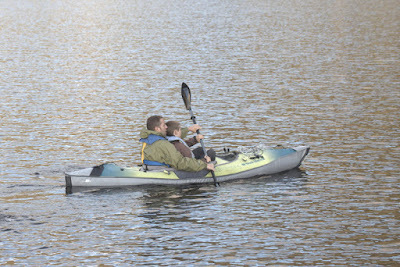 Tom caught a video as we were trying to transfer Adam from Antipodes (discussed in previous blog). It sets the mood as we watched Mother Nature perform with sunshine, icebergs, calving glaciers and stunning colors. Working on getting it so I can post on my next blog. On our way out of the park the currents were against us and the trip took longer than expected. WORKNOT got slowed to 1.4 kts and Antipodes got stalled out. They are almost as fast as WORKNOT, have the same engine but were about half an hour behind us, meaning they got more exposure to peak flood current. Randy gave up and returned to Bergie Bay to wait out slack water. We continued to the Glacier Bay Park Lodge for lunch with the Kramer family. Our server was from West Virginia, a student working for the summer for the Park Service. She was right at home in the Alaskan rain forest. Much better job than my summer work as a wrench while in college. 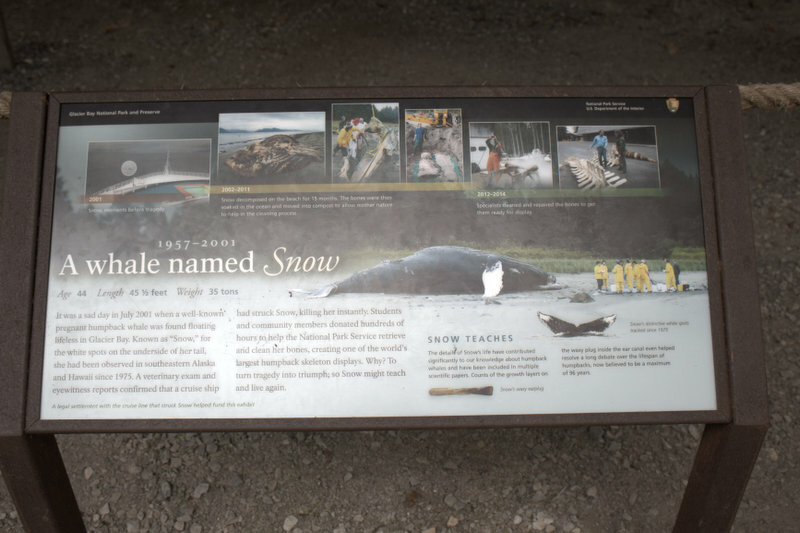 This is “Snow” a whale sadly struck by a cruise ship and killed in Glacier Bay. 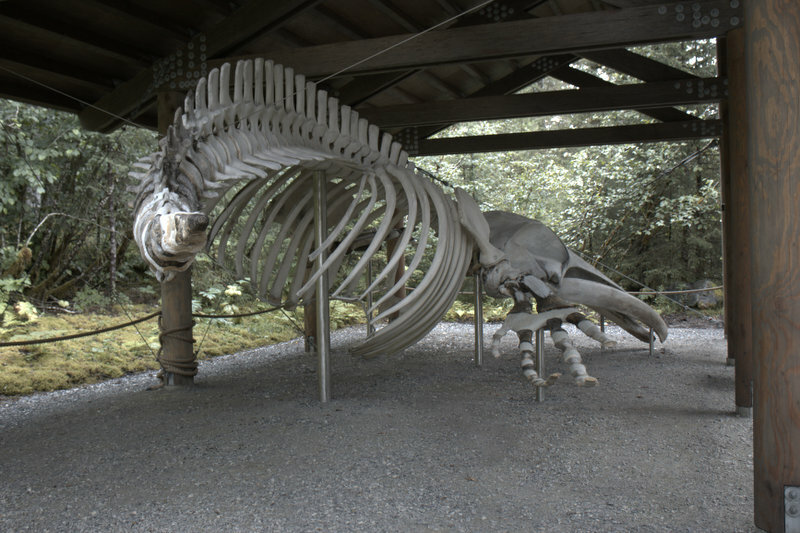 The size of the skeleton is just awe inspiring. These magnificent creatures move so gracefully it hard to believe. We enjoyed a peaceful anchorage at Inian and Kimshaw coves. Rain and then showers. Getting to understand the difference. The channels were narrow and plenty of rocks but worth the effort. Fresh salmon and halibut for dinner and plenty of new scenery. It just keeps impressing the whole crew. 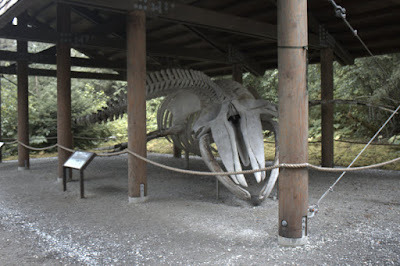 Sitka was our next stop. Berthed at the municipal marina there was a mixture of fishing boats, charter boats and few yachts. This beauty will be joining us on CUBAR trip to Mexico in November. 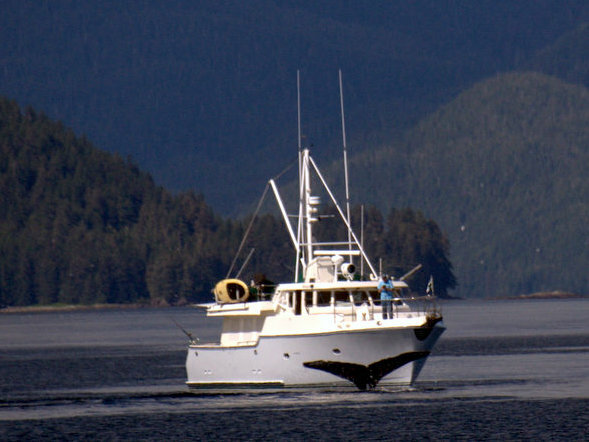 Tango is Nordhavn 76 that has been on both US coasts and South America. Maybe I quit work too soon??? Sitka has a very small town feel to it, even with a cruise ship or two in port it was different than the other towns they dominate. Highlights include the Raptor Sanctuary, the culture center and marine touch pool. A few of the birds being saved/rehabilitated by the center. Tom, Fiona and the boys boarded a ferry for the trip home to Vancouver leaving WORKNOT quiet and a bit lonely after a great week of travel. We retraced our route back north to the Lisianski canal and then headed east. The weather was warm and sunny so fishing became the plan for the day. Salmon were jumping everywhere but we had a hard time getting them to the boat. After a few adjustments we started catching smaller fish and Mary caught two fish on a single bait. The “mooch” rig has two hooks and she had a fish on each at the same time. Our last few days have been a variety of fishing, whale watching and enjoying the sunshine of Alaska. 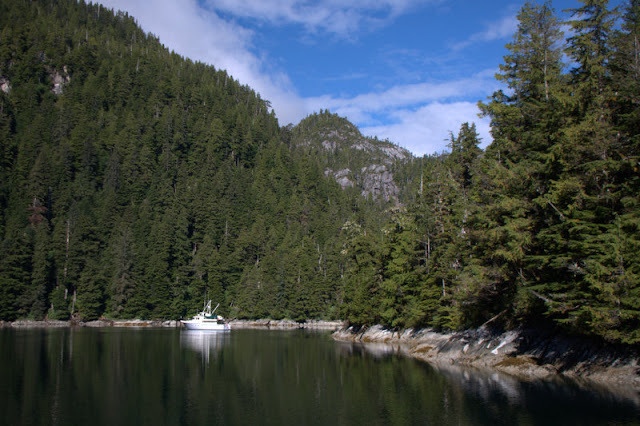 Quiet anchorages along with the hospitality of Sitka have made this a special week to share with friends. Our journey back to Mexico begins here as we will soon part company with Antipodes and move along quickly to reach the Washington coast by the end of the month. Keela wondering what is so special about a whale?????? Forget the boat envy. You did not quit too soon. Now is your payoff for working as a wrench in the summer while in school. Enjoy your head start on the most of the rest of your classmates. I look so forward to the day that I can pull the plug on my working life. My target date is June 1, 2018. My wife and I are already looking at big RVs with the idea of doing on land what you are doing at sea.